Abuse of Nursing Home Residents with Dementia Persists | Hupy and Abraham, S.C. 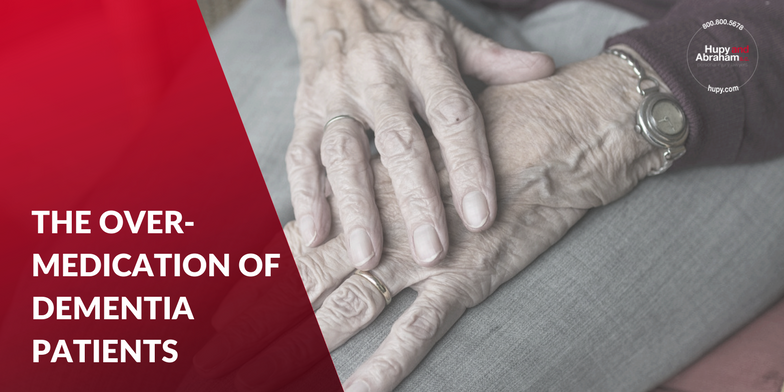 In the past, studies have shown that residents in nursing home and other long-term care facilities with dementia are more likely to be the victims of numerous forms of abuse and neglect. Unfortunately, it seems that hasn’t changed. According to a recent report by Human Rights Watch, "'They want docile:' How Nursing Homes in the United States Overmedicate People with Dementia", residents with dementia and Alzheimer’s are being abused at an alarming rate. According to the report, “In an average week, nursing facilities in the United States administer antipsychotic drugs to over 179,000 people who do not have diagnoses for which the drugs are approved. The drugs are often given without free and informed consent, which requires a decision based on a discussion of the purpose, risks, benefits, and alternatives to the medical intervention as well as the absence of pressure or coercion in making the decision.” On top of which, the Alzheimer’s Association reports there are approximately 1 to 2 million cases of elder abuse incidents each year for dementia residents. These statistics are unprecedented and signal a dire need for change in the industry that provides care for more than three-fourths of all adults with dementia. Neglect caused by a failure to provide food, clean clothing, medical care or a safe environment. Many nursing homes and long-term care facilities are doing admirable work caring for elderly residents with dementia, and many are not. In some facilities, untrained staff members may be forced to perform work beyond their capabilities or they lack the special skills required to care for these high-need residents. And as the Human Rights Watch report shows, it is a desire for “docile” residents that often allow these abuses to occur. If you have a loved one in a long-term care facility, be vigilant of the following signs. Sudden rapid development of the Alzheimer’s disease itself. If you believe your loved one is being mistreated or not receiving the type of care that their mental state requires, it is important to speak out and file a complaint with the facility. Then, you should seek legal representation from experienced nursing home abuse and neglect attorneys like Hupy and Abraham. Contact us online or call us directly at 800-800-5678 for a free consultation or start a live chat with us anytime at Hupy.com.